An ad takeover by Jordan Seiler for his “Iselin” series in 2013. Photo by Jordan Seiler. Jordan Seiler’s PublicAdCampaign blog spreads the word about activism against public advertising by showcasing not just Seiler’s own work but also the work of artists like OX and everyday people doing ad takeovers around the world. Photographs of ad takeovers stay online indefinitely as both documentation of what he or another artist has done and a call-to-action for new activists to start replacing ads with art wherever they are. The posts on the PublicAdCampaign blog allow ad takeovers to break free of both the geographic and temporal constraints that activists reclaiming advertising space have faced for decades. 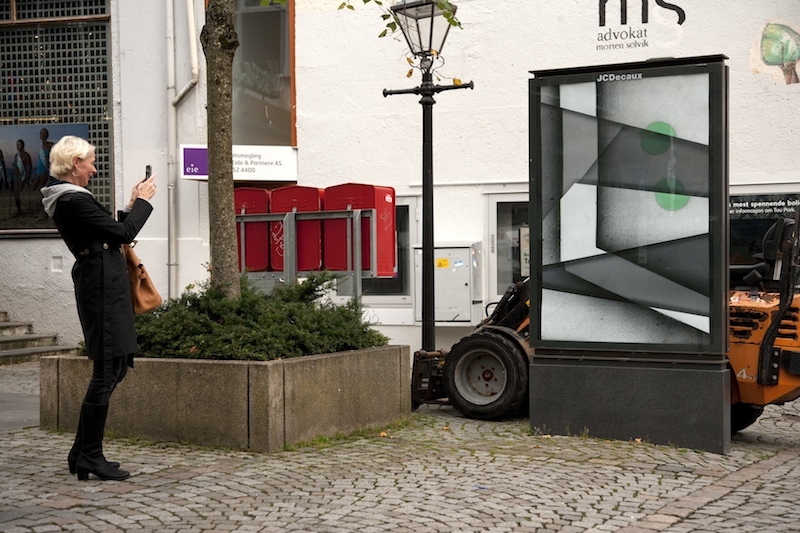 An ad takeover by Jordan Seiler in Stavanger, Norway for the Nuart festival in 2012. Photo by Jordan Seiler. 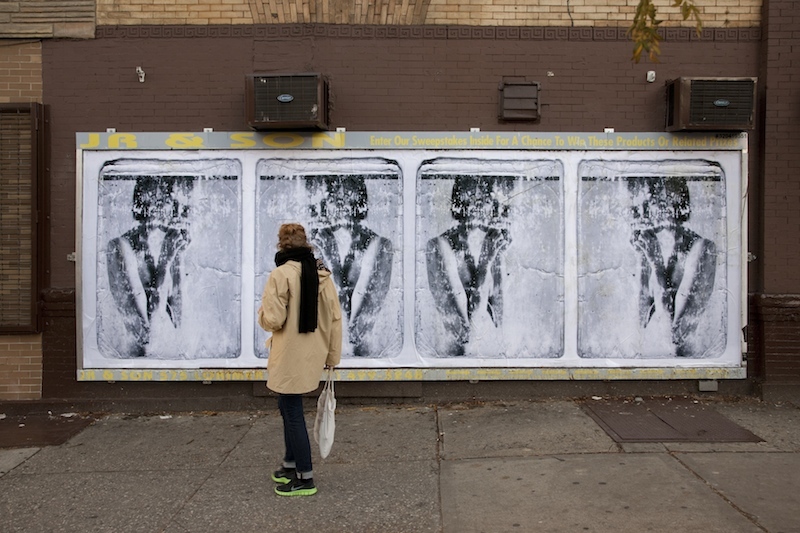 Much like how seeing the work of Caledonia Curry aka Swoon and others on the streets of New York City and online inspired more artists to try making large linoblock prints to wheatpaste, showing people that ad takeovers happen seems to have spurred on more ad takeovers. Except that a Swoon wheatpaste lasts for months on the street, whereas takeovers might only last a few hours. For this reason, the internet has been even more essential for spreading ad takeovers than it was for spreading the Block Partier style. I can’t prove that the number of ad takeovers going up today is more than it was 15 years ago, but Seiler says that he gets emails regularly from people asking him how to reclaim advertising space or telling him that they have tried to takeover advertisements after seeing other people try it. It seems a safe bet to say that without Seiler’s PublicAdCampaign blog, many of those people writing to him would not have ever thought to takeover an advertising space.